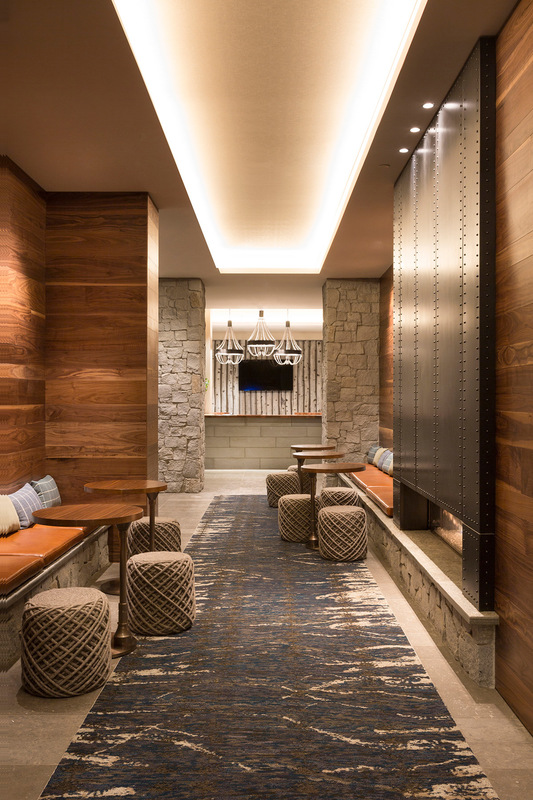 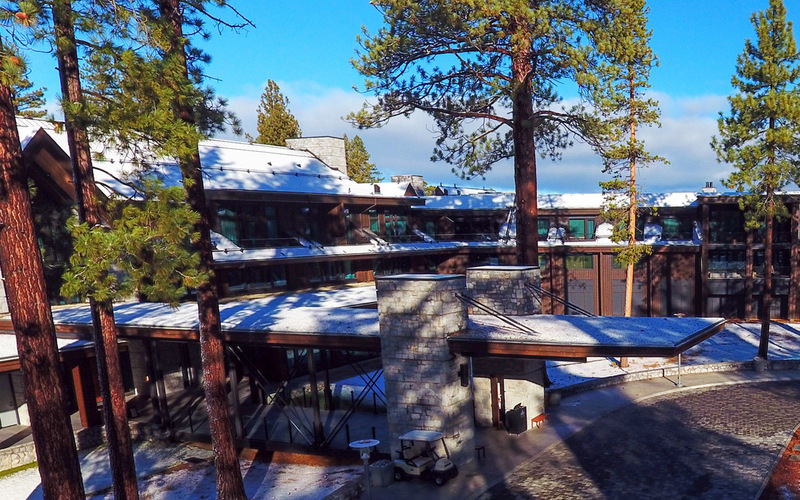 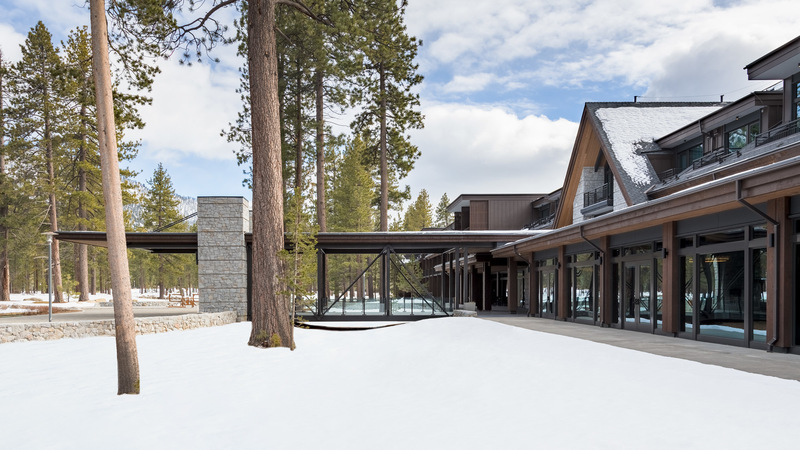 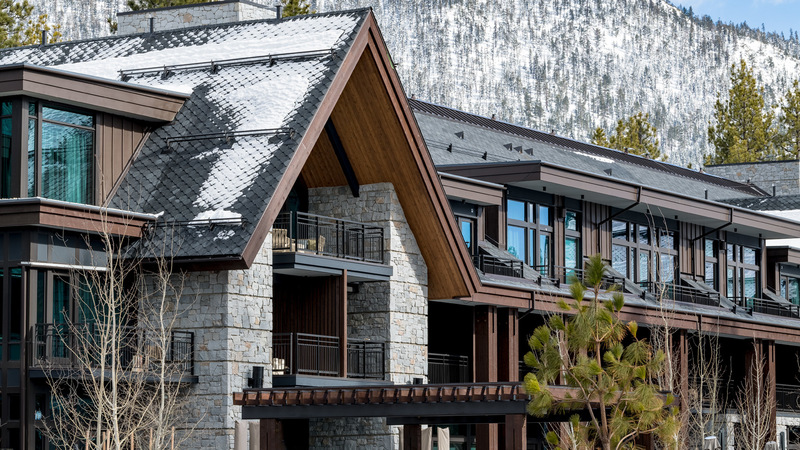 Nestled among towering Jeffery pine trees, the lodge’s design blends traditional elements of Tahoe landmark architecture with contemporary transparency and sparseness of line. 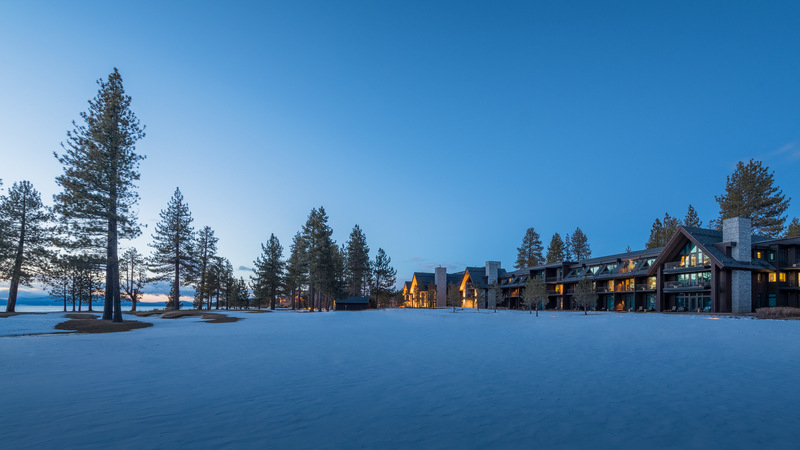 It is the premier redevelopment site on Lake Tahoe and is surrounded by championship golf. 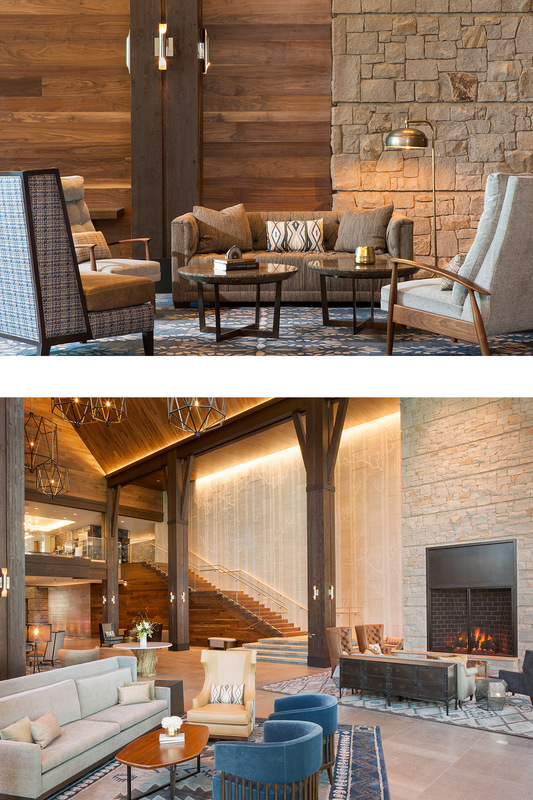 A full-service luxury resort, Edgewood Lodge is designed to embrace the feeling of Grand Lodges of the American West while elevating the level of luxury. 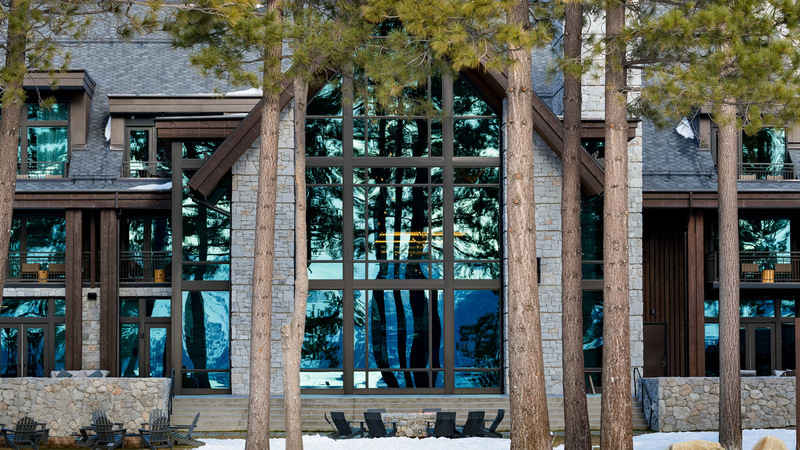 Public spaces include a signature restaurant, bar/café, Adventure Center, kids’ camp, meeting rooms, spa, and fitness center. 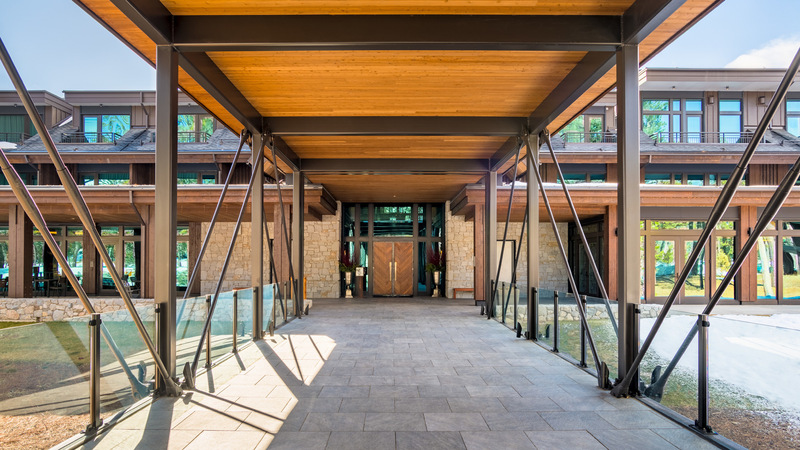 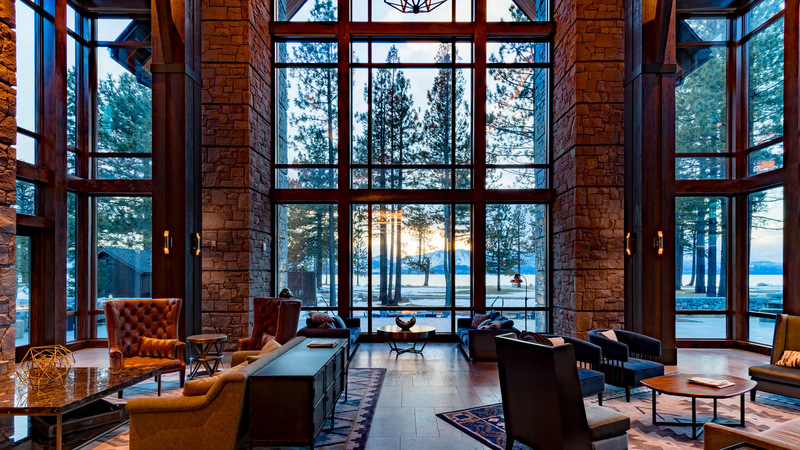 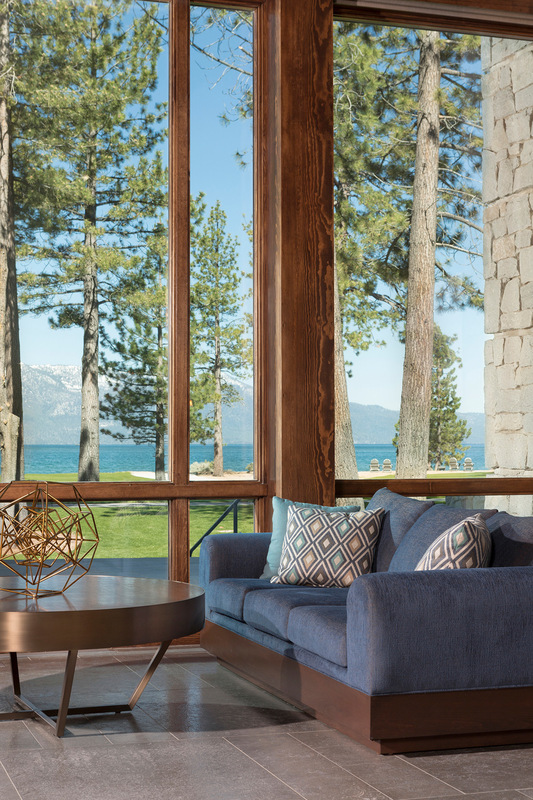 The entry sequence begins with a cantilevered porte cochere roof and continues along a nearly 90-foot-long stone and steel supported covered walkway and through a two-story glazed vestibule before reaching the living room, a monumental space with 38-foot-tall floor to roof windows overlooking a generous paved terrace to the lawn, beach, Lake Tahoe, and the mountains beyond. 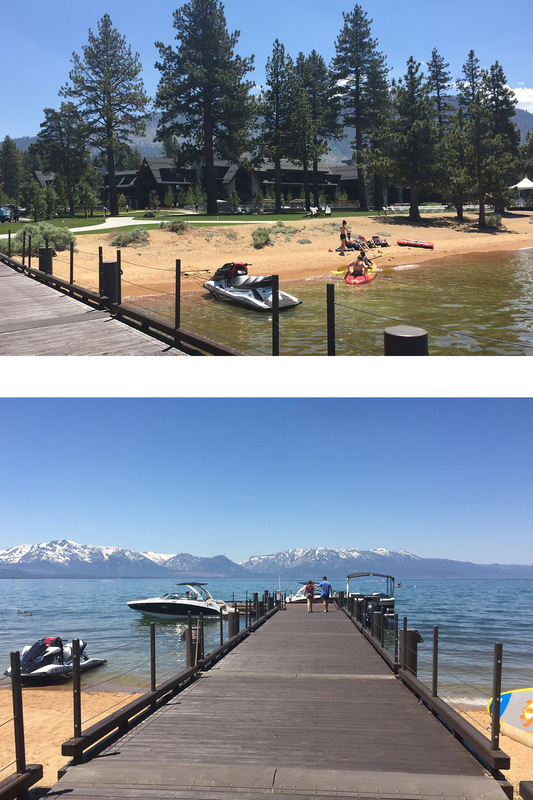 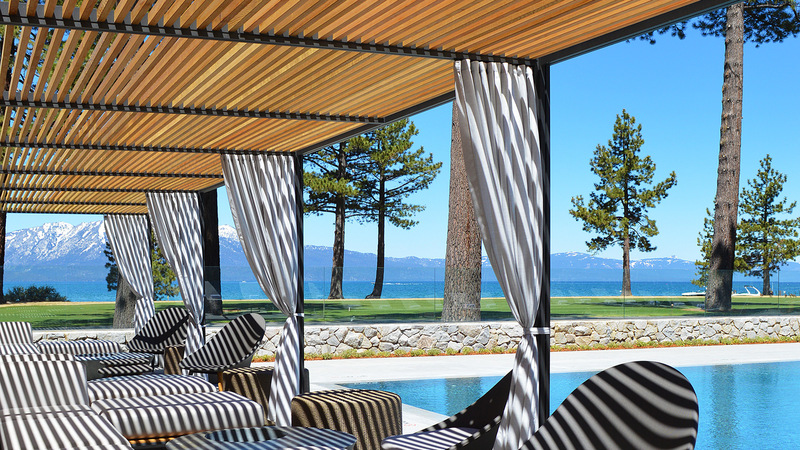 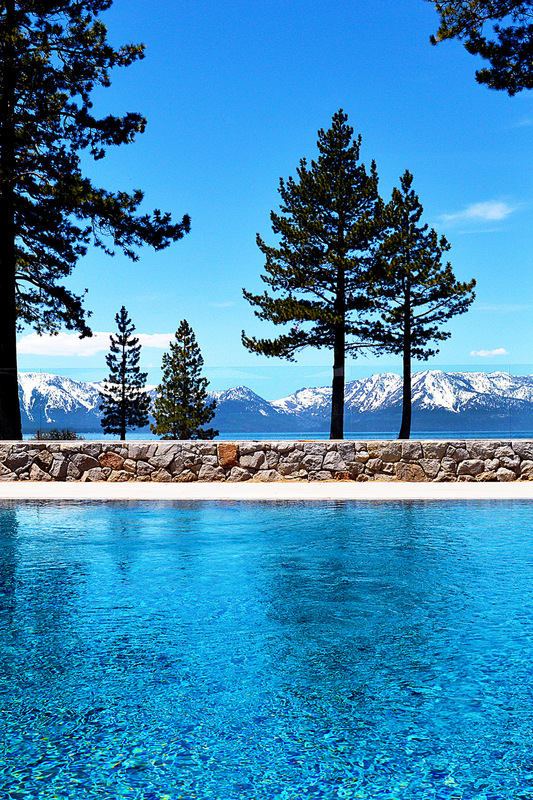 Outdoor amenities include an outdoor grill and bar, pool and hot tub, multiple fire features and gathering spaces, and an expanded beach and boat dock on Lake Tahoe. 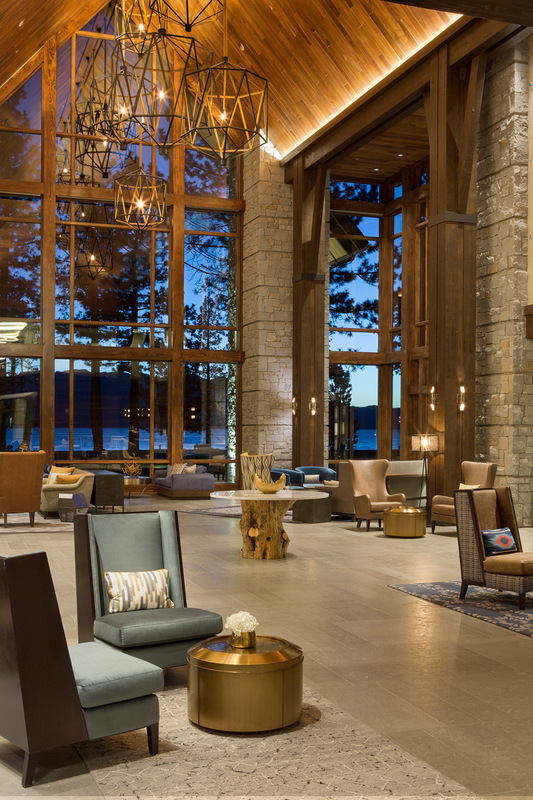 Certified LEED Silver by the US Green Building Council, this project occupies nearly half a mile of Lake Tahoe waterfront and incorporates extensive improvements to holding, treatment and discharge of storm water from the densely developed core of Lake Tahoe into its landscape. 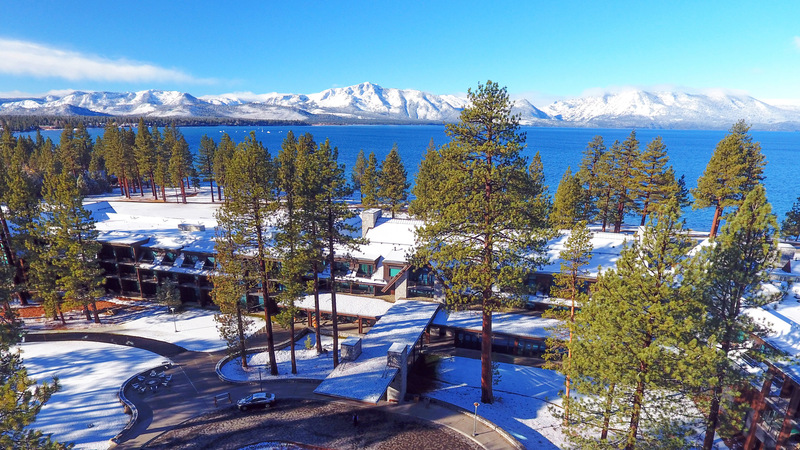 These measures resulted in the regulatory agencies agreeing that the project is an environmental enhancement to one of the nation’s most carefully managed ecosystems.